The "EffizienzCluster LogistikRuhr" was a winner in the Leading Edge Science Cluster competition run by the German federal Ministry of Education and Research. The mission and aim of the "EffizienzCluster LogistikRuhr" is to facilitate tomorrow's individuality - in the sense of individual goods supply, mobility, and production - using 75 percent of today's resources. Efficiency - both in economical and ecological terms - is enabled by state-of-the-art and innovative logistical solutions including transportation, production and intralogistics. 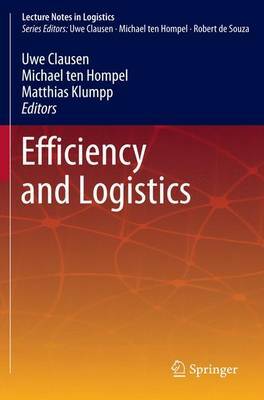 These proceedings "Efficiency and Logistics" give first answers from 27 research projects as an insight into the current state of research of Europe's leading research and development cluster in logistics and as a contribution to the discussion on how logistics as a science can help to cope with foreseeable resource shortage and sustainability as global challenges.